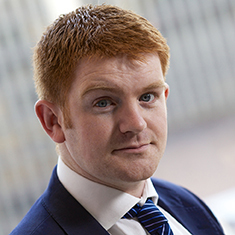 Rhodri Preece is an associate at Katten Muchin Rosenman UK LLP specialising in commercial development investment and landlord and tenant matters. Rhodri's experience includes sales and purchases of multimillion-pound portfolio transactions, lettings of office space, industrial premises and portfolio management. He has acted for pension funds and overseas investment funds, as well as one of the United Kingdom’s largest supermarket chains. Rhodri also has experience drafting and reviewing construction documents, including building contracts, consultants' appointments and collateral warranties. Shown below is a selection of Rhodri’s engagements.